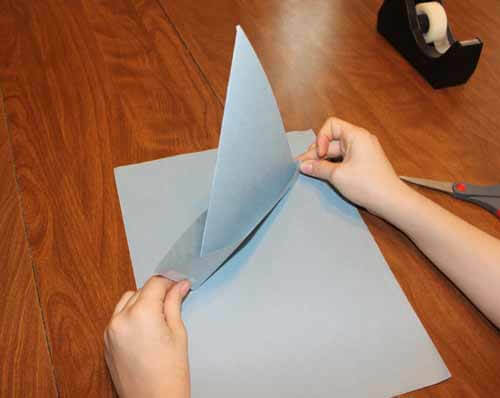 Learn how to make an origami paper boat with our video or photo tutorial. 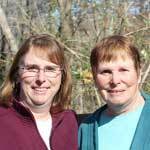 To see the video tutorial, click the link below. Scroll down for the step by step photo tutorial. 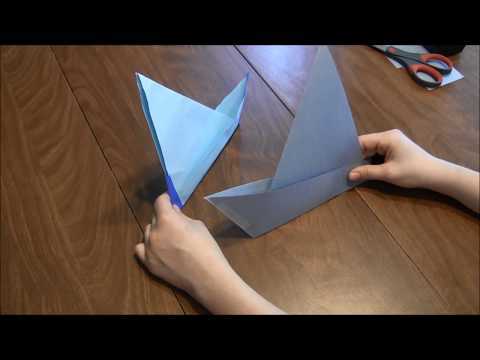 Click to watch the Learn how to fold an Origami Boat video in Youtube. 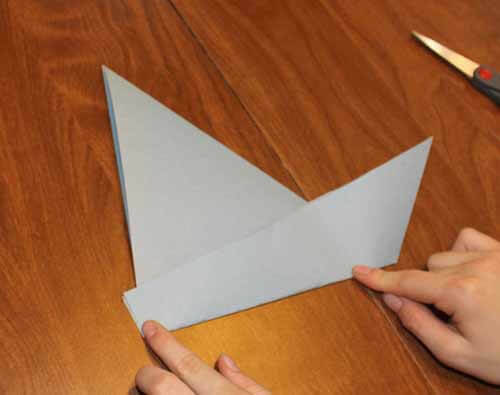 To make a paper boat, start with a piece of paper or construction paper about 8.5" x 11". 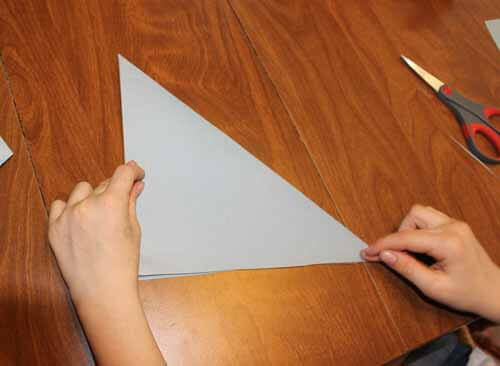 Step 1: Fold the top corner of the paper down to meet the side. 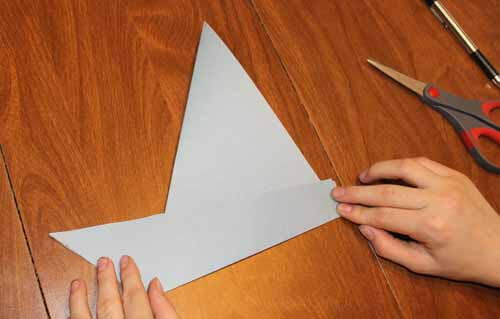 Step 2: Cut of the extra paper so you will have a square. 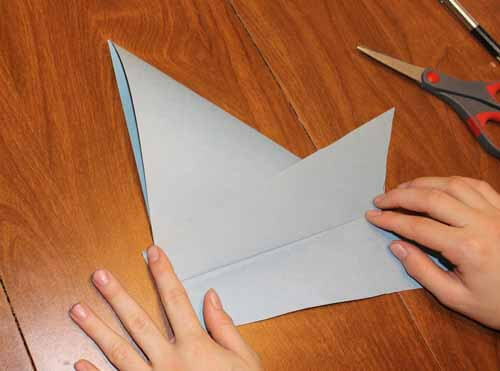 Step 3: Keep it folded and then hold the paper as shown above. 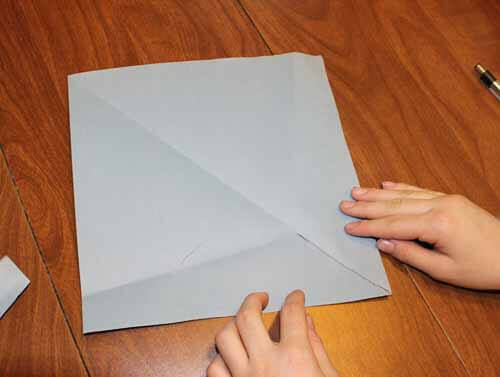 Step 4: Fold up the bottom of the paper as shown. 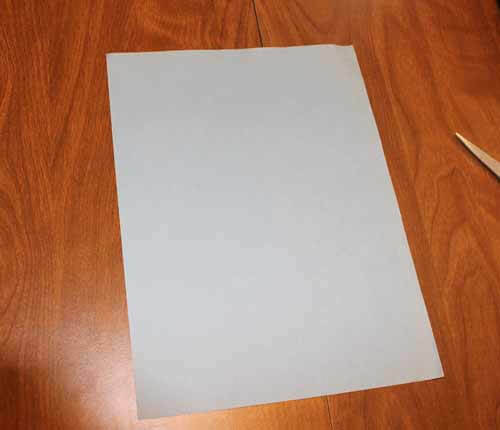 Step 5: Open the paper up. We will cut along the fold line. See the marked line on the image? Cut along that line to the folds as shown below. Step 6: Fold the side up. 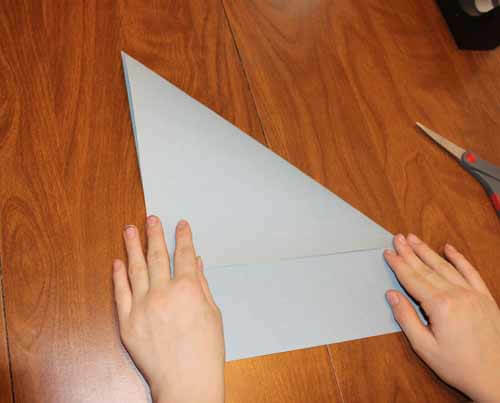 Step 7: Turn the boat over and then fold up the other side. 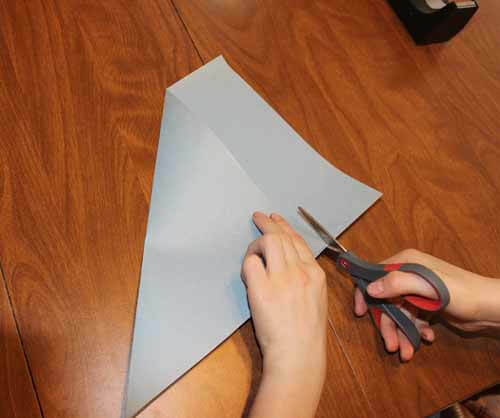 Step 8: Add a piece of tape to the front and back of the boat to hold it together. 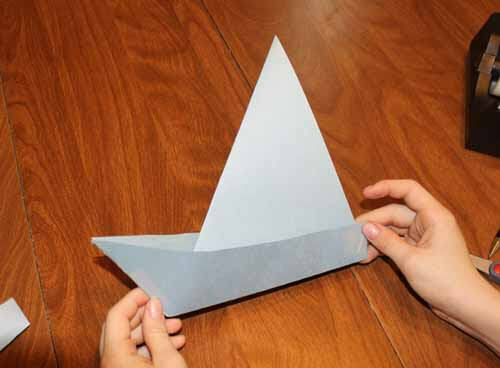 Your origami paper boat is finished! 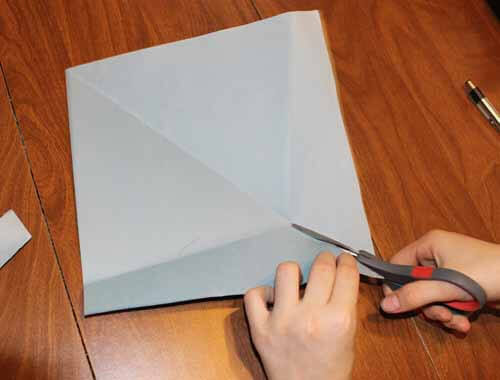 Below are some origami books and supplies. If you purchase through these links, we will get a small commission and you will help us to keep making more videos.